For years, fans have long hoped for one celebrity relationship to finally come true–Rihanna and Drake. 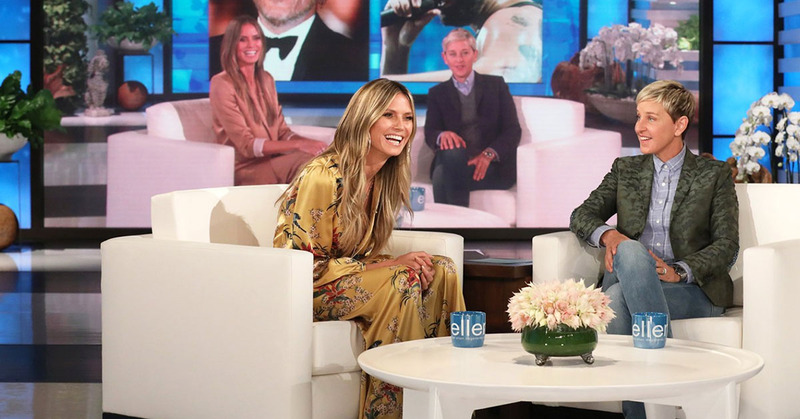 The two artists have collaborated on several songs together and seemed to have chemistry–but, those days are officially over. In a recent interview with Vogue Magazine, Rihanna was asked about her relationship with the rapper and singer–to which, she was pretty blunt. According to the journalist interviewing her, when mentioning Drake’s name, Rihanna completely winced. Rihanna and Drake have worked together a lot in the past, but, one moment in their friendship put RiRi over the edge. 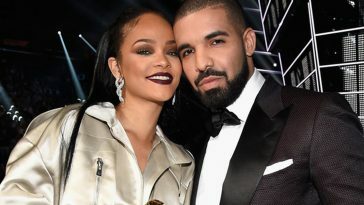 Rihanna told the publication she was a bit embarrassed when Drake basically professed his love to her on stage at the VMA’s back in 2016 when presenting Rihanna with the Vanguard Award. She’s one of my best friends in the world. All my adult life, I’ve looked up to her even though she’s younger than me. She’s a living, breathing legend in our industry. And–to top it all off–he even tried to kiss RiRi on stage. She wasn’t about it. We don’t have a friendship now, but we’re not enemies either. It is what it is. Ouch–rough life for Drizzy. No wonder he’s putting out heartbreak song after heartbreak song. 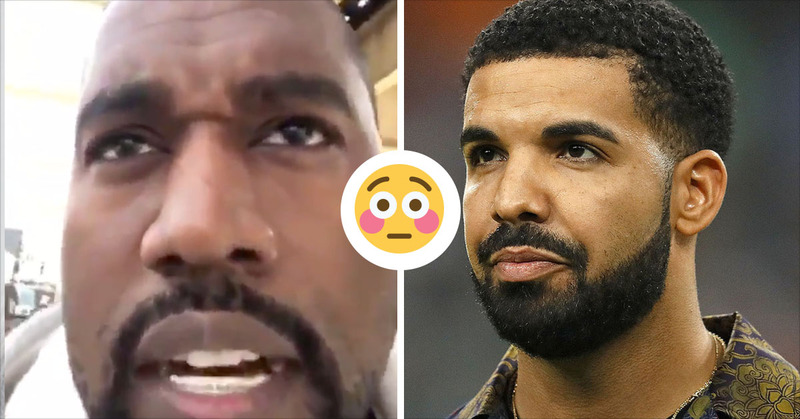 Anyone else feel a second “Take Care” album on the way? I do. And, Twitter has been going buck wild ever since they heard RiRi–the queen of savage–publicly diss Drizzy. I feel like Rihanna told Drake to chill one too many times and that speech was the last straw. Drake: I've been in love with you for years. Drake: I've been in love with you since I was 22. Drake is nice guy™️ personified and I don’t blame Rihanna for being disgusted with his little VMAs stunt. made her biggest moment about him and his feelings and used that audience to try and guilt her into loving him back. WACK. 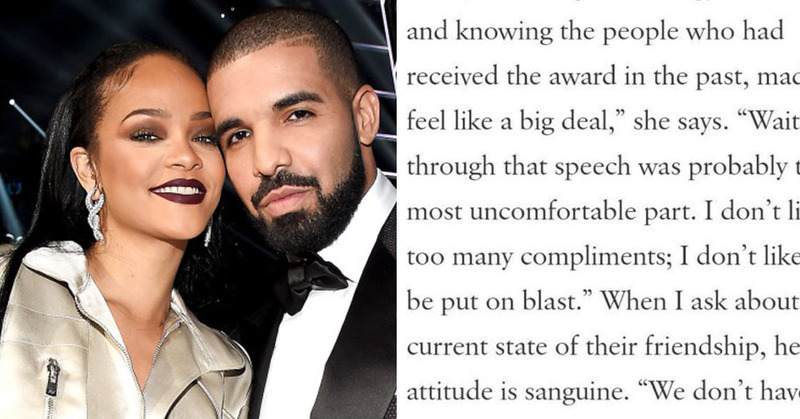 Drake album was finished until Rihanna made that comment. Now we getting 6 bonus tracks. Rihanna basically said Drake is a "where my hug at" type dude ?? ?